On Monday, September 29, 2014, Miami-Dade County Public Schools unveiled their “If You See Something, Say Something” campaign in response to four middle school students bringing loaded guns to Brownsville Middle School. Alongside their anti-bullying and “Do The Right Thing” campaigns, it smacks of hypocrisy given the retaliatory and punitive actions taken against me in my case stemming from Adobegate at Miami Norland Senior High School. On April 4, 2012, I saw something and said something as Mr. Willie Gant, vocational teacher, told me of, and later showed me, a student confession and cheat sheets that lead to a massive case of standardized test cheating causing a vastly improved school grade and a payout of almost $250,000 in Federal and State performance incentives to Norland teachers. Unlike the student involved, I was not thanked for my efforts but transferred twice and wound up in court. Unfortunately, the M-DCPS hierarchy did not get that message as I was ignored for the most part and I was punished by displacement and other means as outlined in my civil suit even though I was correct as two teachers were disciplined with great disparity. I am glad that the student fared much better though. Then again, the cases are different subject matters but both are very important. Given the actions of M-DCPS, a reasonable person may conclude that it is permissible to report gun crimes and related possible incidents but not test cheating where students, with teacher assistance, learn to bilk the Federal and State accountability systems that leads to better school grades and six figures worth of incentive payouts by the Federal and State governments for the benefit of school administrators and teachers with a blind eye from those in a position to hold those involved accountable but fail to do so. Apparently, by taking adverse action against me, M-DCPS wants their teachers to be frightened and quiet. 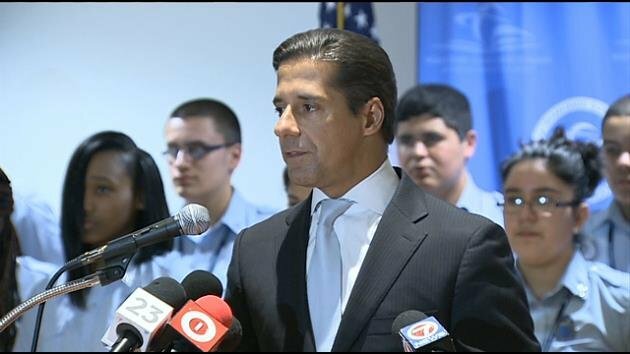 EDITORS NOTE: The featured image of the Miami-Dade School District Superintendent is courtesy of WSVN Channel 7 News, Miami. https://drrichswier.com/wp-content/uploads/superintendent-Miami-Dade-schools.jpg 354 630 Trevor Colestock http://drrich.wpengine.com/wp-content/uploads/logo_264x69.png Trevor Colestock2014-10-04 17:02:122014-10-04 17:02:12Miami-Dade Schools: See Something, Say Something?! Pope Francis Calls for a Synod of Bishops on Sunday, October 5th, 2014 in R... Are We Witnessing America’s Death by Political Correctness?